The holidays are a time to invite friends to your house, and that’s true for this blog, too. I’m honored to have Sandra Neil Wallace with me this week. Sandra is a former ESPN sportscaster and author of Muckers (Knopf 2013), a YA novel for anyone who loves fútbol Americano and underdog stories. But more important to me, it’s also a thoughtful look at anti-Latino racism in the 1950s and the difficult circumstances of Mexican-American families in Arizona at that time. Based on true events, the novel follows Red O’Sullivan, team quarterback, and his friend Cruz as they cobble together their high school’s last football season. It offers us not only an inspiring look back, but also a way to ask questions about where we are now in sports and race. How did you discover this story? I was living in Sedona, Arizona, working as an ESPN announcer and discovered the Muckers story in a box of letters written to the principal of Jerome High School. Most of the letters were from young Mexican-American men who had graduated and gone to war. The letters helped me uncover the incredible sports triumph of the 1950 football team. Despite being the smallest squad in the state, playing on a rock field, and facing ridicule for being an integrated team, they made a run for the state championship. 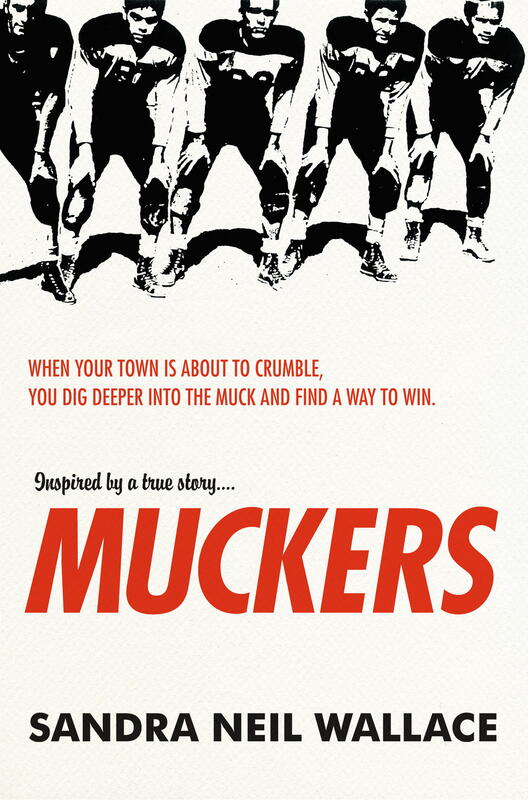 The football season in Muckers is modeled after theirs, and I interviewed surviving players to create characters I’d imagine experiencing the hardships of that time period. Muckers is set in a mining town that forces a diverse group of people to survive together, yet racism runs deep. Can you tell us about the racism that existed at that time in Arizona? The majority of Jerome’s citizens were of Mexican descent, yet there was a tremendous amount of confusion when it came to classification. Census takers check-marked boxes labeled “white” then wrote “Mexican” beside it. But what was clear was that Mexican Americans did not have the same rights as whites in Arizona. Many districts forced Mexican-American students to attend different schools under the guise of “separate but equal” education. Jerome’s schools and teams were integrated but players still faced daily paradoxes competing against teams from segregated schools. What struck me hardest was the segregation of the town swimming pool. The humiliation felt by the young Mexican-American players was palpable in the letters they’d sent to their principal. How could you be on the same team and not be able to swim with your teammates? How could you be counted on to win a championship, yet afterwards, be prevented from socializing with your peers? The repercussions of these boundaries are what I explore in Muckers. Any surprises in the research for you? Yes; resilience, dignity, and hope amidst adversity. And how a single act of kindness from a teacher or a coach can influence a generation of men. As humans, we intrinsically search for glimmers of hope and when we find it, we take hold of it. Jerome’s principal and coach encouraged students and players to break down racial barriers. As a team, the Muckers responded by banding together and becoming a symbol of hope for their community. This amazing team is such a contrast, for example, to incidents such as the Miami Dolphins and Richie Incognito. Racism still exists in sports at all levels and will continue if management and coaches don’t set policies that get enforced to stop the culture of racism. What’s different now is that it’s getting exposed. It’s unfortunate when the result is to walk away from the game that you love in order to avoid racism instead of it sparking discussion that could lead to change. Your characters are layered characters, young men of many cultures. What must a writer get right when writing across cultures? What were your guiding principles in your work on the characters? As a journalist I immersed myself in 1950 Arizona through personal interviews, newspapers, oral histories and photographs, to capture the language and points of view of those living through the social injustices, the Communist scare, and the Korean War. But once this groundwork is done, you have to ask the difficult questions– the ones that make people squirm—in order to capture emotions and get at the truth. Empathy allows you to understand. I could draw on my own experience with gender discrimination as a sportscaster and my family’s history of ethnic discrimination in Europe as German Yugoslavs after World War II, when they became property of the state and were sent to concentration camps. Traumatic events are universal and also unforgettable. My grandmother vividly remembers what the sky looked like when she was taken to the concentration camp. The Mexican-American players from Jerome can recite the segregated swim times 65 years later. As a writer, it’s your responsibility to get as close to these realities as possible and if you don’t, the writing will be weak. But if a reader believes that an author should only write about characters that are their own gender, ethnicity or race, that’s discrimination, too. What did you learn from the Muckers’ experience? Read the Kirkus review of Muckers here. Sandra Neil Wallace is a former news anchor and ESPN sportscaster, who is now a full- time author. 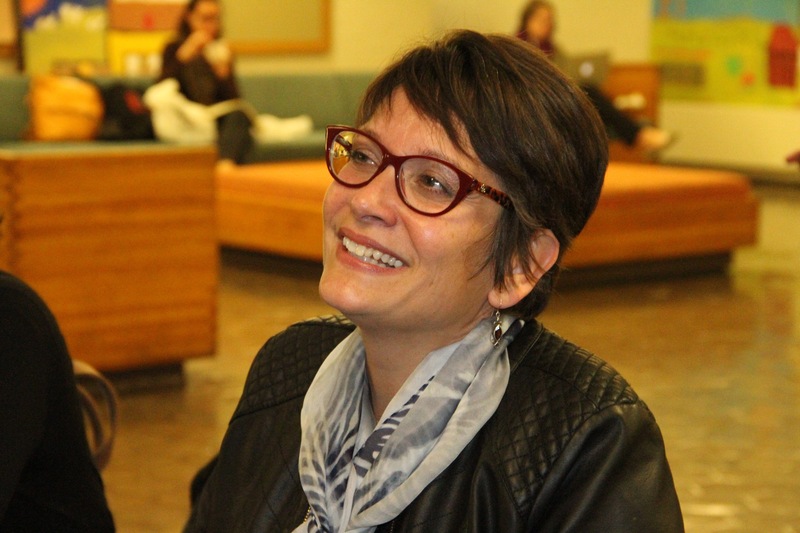 She was named an outstanding newcomer to the children’s literature scene by the Horn Book following the publication of her first novel, Little Joe. Her forthcoming book is a children’s biography of sports legend Babe Didrikson Zaharias. 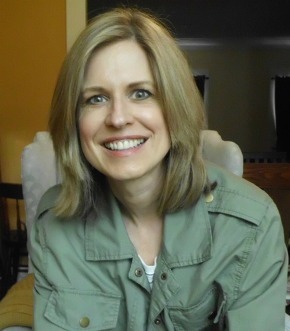 Sandra lives in New Hampshire with her husband, author Rich Wallace.